Farmers turn to their trusted advisors to maximize the value of the data they collect and the technology they use. 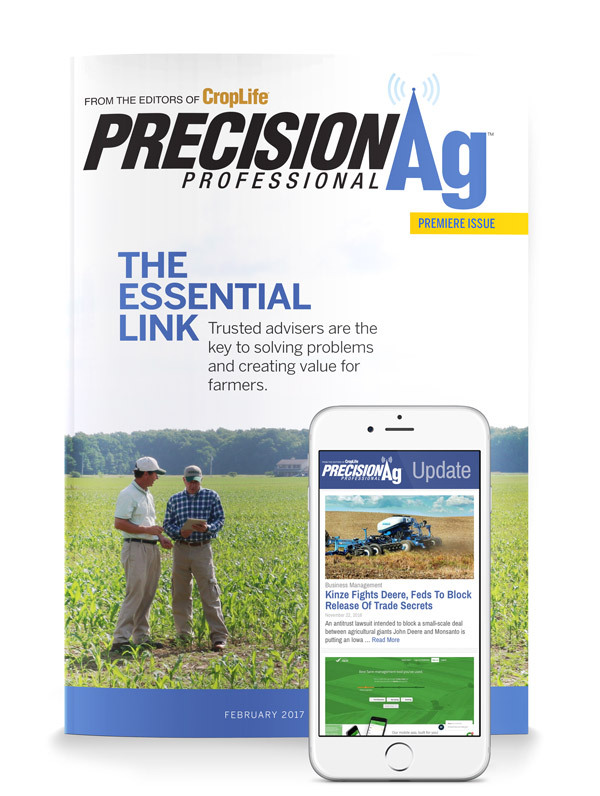 The premiere issue of PrecisionAg® Professional magazine will demonstrate why and how service providers are essential to fully connected, efficient, and sustainable crop production. With the increasing complexity of emerging precision technologies, trusted advisors are the keys to solving problems and creating value for farmers. In this opening article, experts from across the entire agriculture spectrum explain the central role service providers play in an efficient and sustainable crop production channel. Fertilizer Optimization: Learn more about nitrogen optimization programs and how retailers are using technology to optimize their participation in The Fertilizer Institute’s 4R Stewardship program. The Retailer-Equipment Dealer Relationship: This article looks at successful case study of one retailer-equipment dealer relationship in Michigan. Southeast Focus: Mike Buschermohle from the University of Tennessee discusses emerging uses for imagery in making in-season decisions. 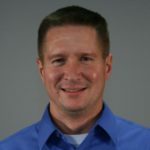 Grower Perspective: Illinois Grower John Reifsteck talks about how retailers should approach having a productive decision with a grower about precision technology in difficult economic times. Don’t miss out on the premiere issue of PrecisionAg Professional coming in February 2017! Let our sales representatives help get your marketing message out before the December 29 ad close. Download our 2017 Media Kit to learn how you can promote your products in upcoming issues. To learn more about how you can participate in this special report, contact your sales representative or download our flyer for more information.